Maria Alfaro is a native Italian who lives in California and teaches in the US and internationally. She is a senior TRE® (Tension and Trauma Releasing Exercises®) Certification Trainer and the co-creator of Neurogenic Yoga™, a sister method of TRE®. 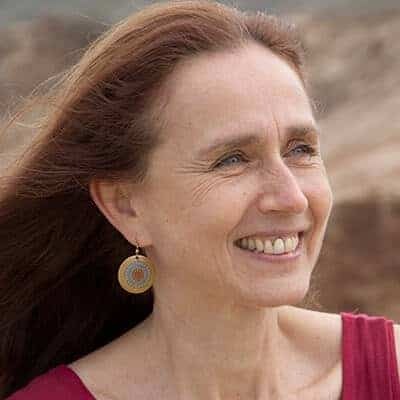 Since 2004, Maria assisted Dr. Berceli, TRE®’s founder, in numerous trainings in the US, South Africa and Brazil, and she reached thousands of people through her own workshops and certification trainings across the US, Europe and the Middle East. Her eclectic background includes living in several countries on 3 continents, learning 5 languages, and practicing and teaching different yoga styles for over 20 years. Maria is also a practitioner of Chinese martial arts and an activist for social and environmental causes. Maria creates a supportive environment which makes people feel safe, she teaches with compassion and she is known for her sense of humor. Maria believes that TRE® and Neurogenic Yoga™ are extraordinary tools for healing ourselves and the planet and that each person can benefit from them in a deep way. She is inspired by the feedback of her students and trainees and is passionate about spreading these revolutionary methods for the good of all.